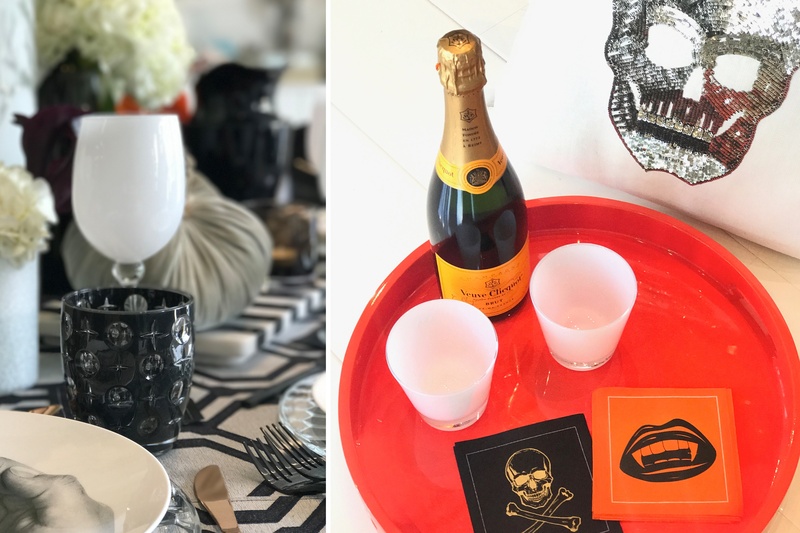 We’re next-level obsessed with Halloween, so we thought a sophisticated dinner party was the best way to celebrate. 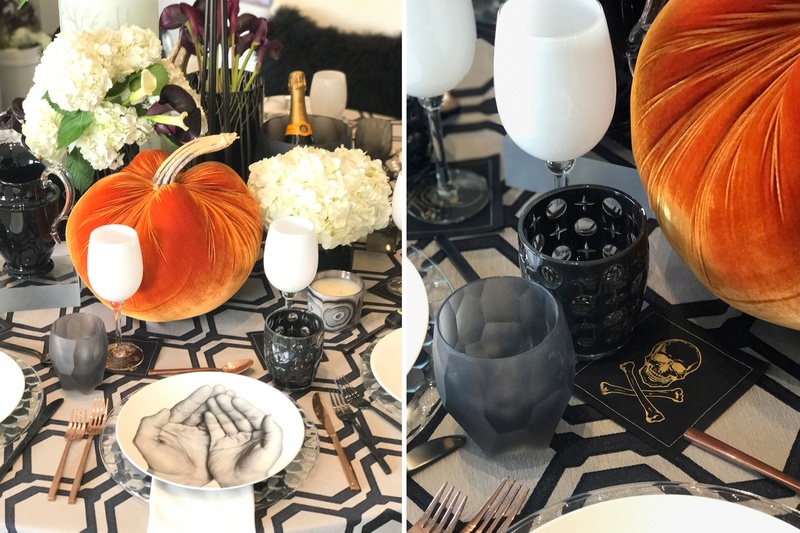 We envisioned a spooky fête for the grown-ups, full of modern elegance and tons of drama and 316 Design Source had the bewitchingly fancy look we had in mind. 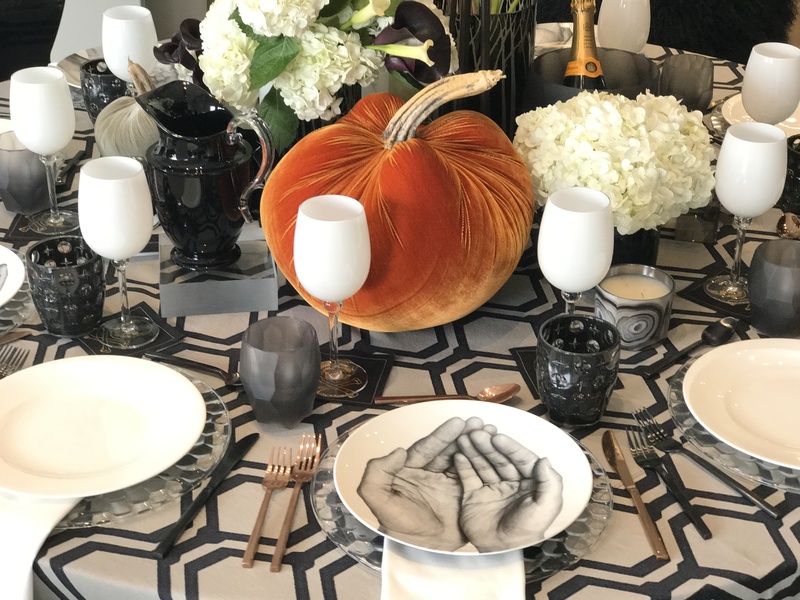 If you’re looking for the most chic and sophisticated way to celebrate this Halloween here are some tips for this to-die-for black and white Halloween concept. Channel your inner goth and embrace all things black! Typically linked to nighttime, death and the underworld, black has a spooky edge that we’re looking for. 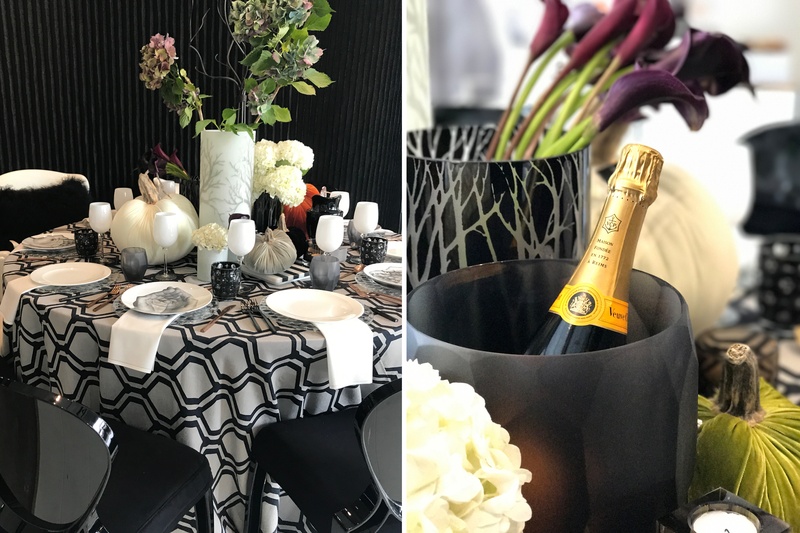 A black and white patterned table linen is a perfect base for layering on even more black décor elements. Mixing different finishes and patterns, in the dark hue, adds interest and allows the details to stand out. Choosing one hue to incorporate into your tablecape keeps your design sophisticated and elegant. 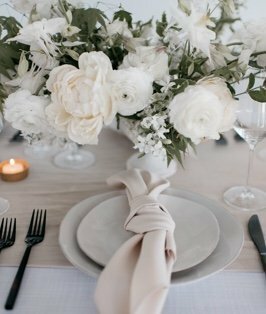 Accent colors allow your table design to have a cohesive aesthetic, all while separating different elements and adding depth to the overall look. These velvet orange pumpkins look rich against the blacks, metallics and neutrals. 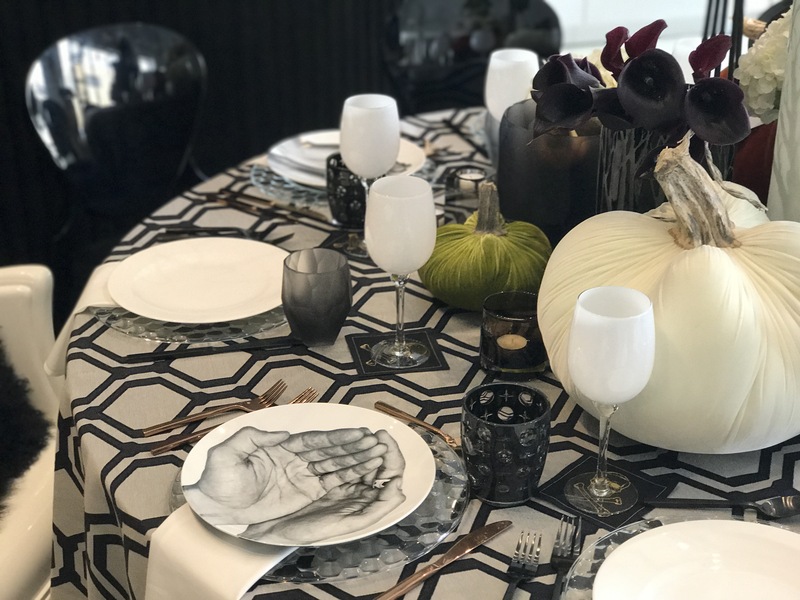 Black and white imagery feels more moody than full color, the starkness and contrast creates ghostly intrigue that’s perfect for the Trick-or-Treat season. These hand photos are a great mix of the refined and mysteriously eerie. Black and white portraits are another great way to increase the spooky factor. They will totally give your guests a fun “you’re being watched” vibe, and they’re a fantastic conversation starter. Get crafty when planning your macabre affair and don’t be afraid to be a little terrifying too. Hosting a Halloween dinner party is fantastic opportunity to eat some serious candy and have a frighteningly good time.